This combination of electron microscopy and scientific colorization hangs on the wall of the Kita Lab as a wonderful example of both science and art. 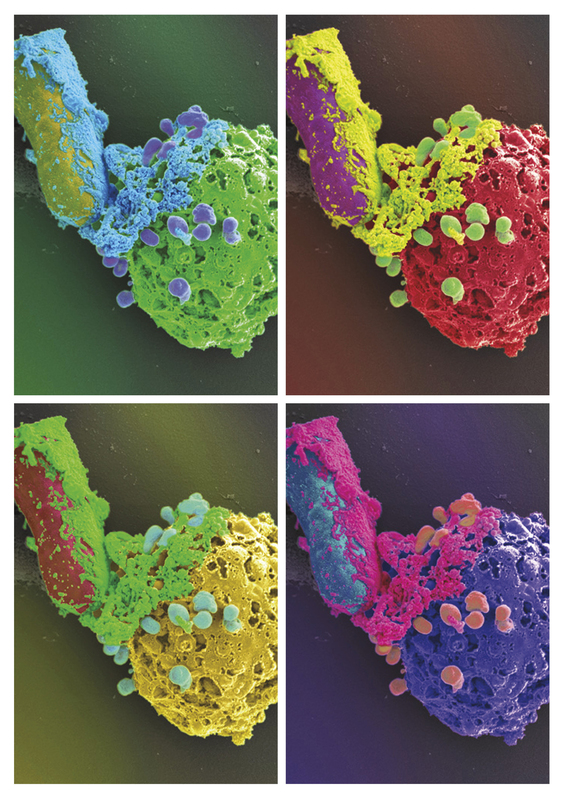 These images by Jens Ponikau, M.D., show eosinophils (the ball-like structures) and fungi (the rod shapes) that conspire to cause asthma. Between the two are secreted vesicles and slime. Read more about asthma research at Mayo.